PESHAWAR: At least two personnel of Khasadar forces were killed and an official was injured when unknown assailants attacked the vehicle of a North Waziristan muharrar in Boya late on Monday night. According to details, Muharrar Rahmat Hussain along with personnel of Khasadar force was on a visit to Boya when his vehicle came under attack. The firing killed two personnel on the spot and injured another who has been admitted to a hospital and is receiving treatment. Rahmat Hussain was admitted to the District Headquarter Hospital in Miranshah. This is the second attack since last month against the officials of administration in North Waziristan. 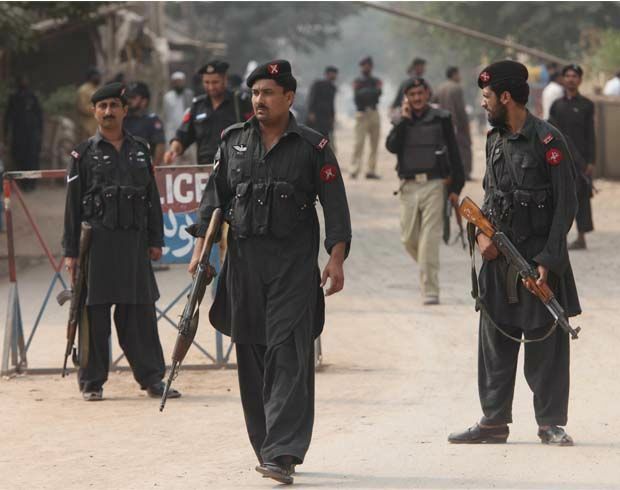 A political muharrar, Hamidullah Khan, had lost his life and three others were injured in a similar attack on June 1. The attack on the political administration comes as the election campaign is in full swing throughout the country including in North Waziristan. Pashtun Tahafuz Movement (PTM) founding leader Mohsin Dawar is contesting for a National Assembly seat from North Waziristan which was recently cleared of militants in wake of military operation Zarb-e-Azb. On the other hand, at least 10 persons were injured in a hand grenade attack at the election office of Pakistan Tehreek-e-Insaf (PTI) candidate in Razmak Town of North Waziristan on Tuesday. The officials of district administration informed that all the injured shifted to nearby hospital and their conditions were stated as out of danger. They said that a number of PTI workers were present in the office of party candidate Aurangzeb in connection with election campaign when unknown militants attacked them with a hand grenade. The attackers succeeded in escaping.